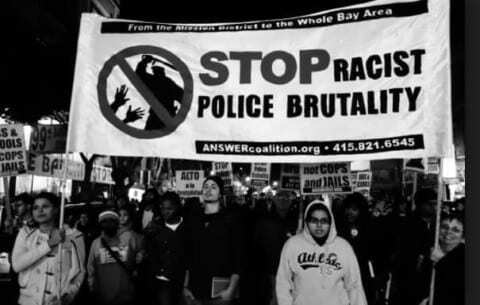 Why is police brutality common in Oakland? In the article, Oakland police: controversial history sets tone for city’ discord. Harris states, “White people account for only 16% of OPD vehicle stops, and 6.7% of motorists searched. Black people in Oakland, by contrast, account for a whopping 48% of vehicle stops, and 65.8% of motorists searched” (Harris). Police brutality can lead to violence and death but is there any way for police to stop targeting People of Color the most? Others may say that police are doing a great job for this city in the article “Stanford big data study finds racial disparities in Oakland, Calif., police behavior, offers solutions” by Stanford University they explained how they are finding more and more data from police and what they could improve they wrote, “Police agencies are guided by the commitment to serve communities with fairness, respect and honor” (Stanford University). In other words this quote means that some people think that police are doing what they are supposed to be doing and are following the rules they are supposed to follow. This source is trustworthy because it was posted in 2016 which was posted recently. Also because they weren’t being biased about they were talking about. In conclusion, I believe police brutality is a problem in Oakland because most police don’t worry about what is important and target mostly People of Color in most situations they are in. Also police are not being trained to do what they are supposed to be doing correctly and are stereotyping People of Color by assuming they are armed. Swedback, Alex Barreira and Arielle. “Law Enforcement Killed 90 Oakland Residents Since 2000, And 74 Percent Were Black.” East Bay Express, East Bay Express, 9 Jan. 2018, www.eastbayexpress.com/Oakland/law-enforcement-killed-90-Oakland-residents-since-2000-and-74-percent-were-black/Content?oid=4940357. This article talked about who were the people who got killed by the police and it talk about the most police have been killed are black men and woman. Also it was published recently so there probably are data from now. Calmo, Angel. “Police brutality in oakland.” Jan. 2018. I interviewed Angel Calmo about police brutality because he had a lot to say about the topic and had some experience with the police but not that much negative. Also because he has been living in Oakland almost his whole life and probably has seen or heard of someone who got killed by police and are innocent. Johnson, Stacy. “Oakland Under Arrest: Policing the Police – A Brief History of the Oakland Police Department.” Street Stories: Oakland, www.streetstoriesOakland.com/items/show/40. This article talks about how there has been many arrests in Oakland and how its gone too far. This source is trustworthy because it had a lot of information about police brutality happening around Oakland. Mendoza, Silvia. “Police brutality in Oakland.” Jan. 2018. I interviewed SIlvia Mendoza because she is very against police brutality and hates that police only target people of color. Also because she wanted to address what the community does for the police to be in Oakland but are not doing their job. Silvia is trustworthy because she has been living here almost her whole life and had very explicit information about police brutality. University, Stanford. “Stanford big data study finds racial disparities in Oakland, Calif., police behavior, offers solutions.” Stanford News, 11 Aug. 2016, news.stanford.edu/2016/06/15/stanford-big-data-study-finds-racial-disparities-oakland-calif-police-behavior-offers-solutions/. This article talked about both sides how police brutality is bad for Oakland and are trying to find ways they can fix police brutality. Also it talks about what other think other than being against police brutality. This source is trustworthy because it is not being biased throughout the source also it was uploaded recently. How Police Brutality Affects People of Color in Oakland by Linda is licensed under a Creative Commons Attribution-ShareAlike 4.0 International License. How much trash is in Oakland and what type?How is Health Care in Oakland? is it helping?